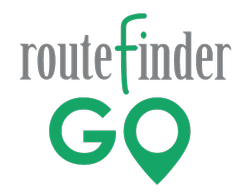 With Routefinder GO your critical transportation information in Routefinder Pro is portable and accessible anywhere, anytime. Access data on student; vehicles; staff; trips and stops; and alternate sites wherever you are and, if needed, take immediate action. Turn-By-Turn Directions for Bus Stops with Mobile Data Terminal (MDT) Navigation from Synovia. Driving directions from the routing system can be downloaded to the MDT including waypoints. The driver will get turn-by-turn directions to each bus stop on the run/route and then on to school or the bus yard. This option is ideal to train new drivers or substitute driver who do not know the assigned route.